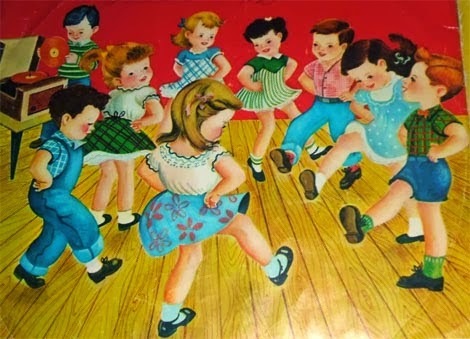 I’ve come to believe that when life gets crazy busy, a great thing to do is ... the hokey pokey. That’s it. That’s what I’ve concluded watching just how much I relax, how my brain lets go of a multitude of demands, how my spirit is refreshed when I accompany my little girl to her music class, where we sing, we dance, we play. For 55 minutes, I breathe a little more deeply, my brain waves are altered, and I usually feel reconnected to the source of my joy. I smile, and I smile with someone I love. But here’s what I don’t want to admit, I don’t always take Erica to her music class. I convince myself that I don’t have time; I work on my day off. And when I give up my day of rest, I do myself and everyone I serve and love a disservice. This month, I’ve been reflecting on what it means to take a path of resilience. Setting aside time for rest and renewal is a critical foundation for a path of resilience. Creating what I’d call sacred time or what religious people would call observing the Sabbath. Practicing Jews know this. Jesus embodied it. So many live it today. This intentional, counter-cultural practice of setting aside a day for rest makes space for us to be active in the world. If we want to change the world, we can’t be working at it seven days a week; we need to regularly let go, literally to refresh. Unlike computers that can refresh in an instant, we human beings require time, what some would call idle time, but I would call sacred time. But it’s hard. And it’s ironic: it takes discipline to set aside undisciplined time. There’s a cultural force that’s hard to resist. The call to be more, to have more, to do more. Because if you do, so it promises, you’ll have more money, more recognition, more satisfaction, more love, more influence, more technology, more security. And this siren song that you can be and have and do more, this comes to people in all segments of society, including in the name of serving others. I agree with Wayne Muller who wrote Sabbath: Restoring the Sacred Rhythm of Rest. “The busier we are, the more important we seem to ourselves and, we imagine, to others. To be unavailable to our friends and family, to be unable to find time for the sunset (or even to know the sun has set at all), to whiz though our obligations without time for a single mindful breath, this has become the model of a successful life. Our lack of rest and reflection is not just a personal affliction. It colors the way we build and sustain community.” It also blunts our capacity to respond to suffering and injustice, and it stunts the ways in which we seek peace and healing in the world. How has our culture come to this? We have forgotten the Sabbath. And this is an age old problem. In the Hebrew Scriptures, the prophet Isaiah rails against the abuse of the sabbath to gain competitive advantage, which undermines the ability of anyone to enjoy rest. The call to rest is not for the sake of rest itself but for the sake of wholeness, both individual and collective wholeness. In the halls of power, rest and renewal is too often viewed as idleness, idleness isn’t worth anything to people who view value only through the lens of economic productivity and consumption. But there is a heartbreaking cost to making public policy according to this view. We hear a lot about the shortage of full time jobs at adequate wages, but we should also become aware of the cruel shortage of rest forced on those who have to work multiple jobs. There is a war on rest and leisure. I so appreciate "The War Against Rest" by Benjamin Duehelm in The Christian Century that brings attention to the public cost. He notes that the current debate over the minimum wage is ultimately about whether workers ought to have time for anything but work. Working 40 hours at minimum wage doesn’t provide enough income for the basic necessities of life, especially for a family. Raul Meza a school custodian who makes minimum wage says that when he thinks about eventually making $15 an hour, he thinks about the time that would buy to spend with his son. I pray that he can make this before his son is grown up. Maria Fernandes was 32 years old when she held down three part time jobs. Between shifts at two different Dunkin Donuts, she stopped in a parking lot to sleep in her car after a Sunday graveyard shift. This was just a few months ago. Fumes from a spilled fuel container and fumes from her running car killed her. I agree with Levy-Lyons that “When we create breathing space in our week, all kinds of unwelcome feelings and thoughts can arise – feelings of despair or dissatisfaction with the world that we would rather leave buried under a mountain of tasks and momentary pleasures. And it’s hard because the whispered voices of fear are loud in our ears warning of the social costs we will pay, our world spinning out of control, the threat of failures. As sweet and gentle as the Sabbath may be, its arrival collides violently with the secular world. It is truly challenging to take a Sabbath day. Yet this is where the personal gets political. It forces us to confront the question: to whom or to what do I ultimately belong?" To whom or what do you ultimately belong? Do you belong to your possessions? To your boss? To your addictions? To your accomplishments? To your insecurities? To your fears about the future? To whom or to what do you ultimately belong? I invite you to join me in claiming a Sabbath practice and a day of rest. From sundown to sundown, either Friday to Saturday with our Jewish sisters and brothers or Saturday to Sunday with our Christian sisters and brothers or Sunday to Monday with me! If you take Sunday as your sabbath, come to worship leisurely. Schedule only time with friends or family. Have face-to-face conversations about where love’s beckoning you. Take a nap. Pray. Listen to music that fills your soul. And put one hand in, put one hand out, put one hand in and shake it all about. Do the hokey-pokey and turn yourself around, and know that this is, in some strange extraordinary, what it’s all about! What is "Love with Courage"?